for some reason, flowers just make me incredibly happy. I love looking at them and being surrounded by them. as soon as spring rolls around I get extremely excited and obviously want to make the most of them content-wise. 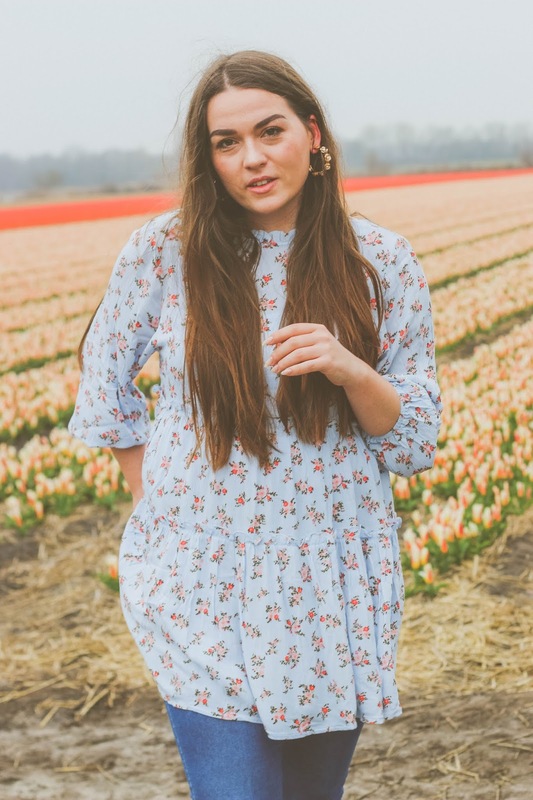 there’s one spot that has been all over Instagram for a few years now especially in spring and its the bulb region in Holland, especially Lisse. I actually went there the first time in 2017 during the summer and even though the infamous tulip fields are no longer in bloom, the area is beautiful. it’s close to cities such as The Hague and Amsterdam but very close to the beach too and there are the most beautiful beach clubs and restaurants. 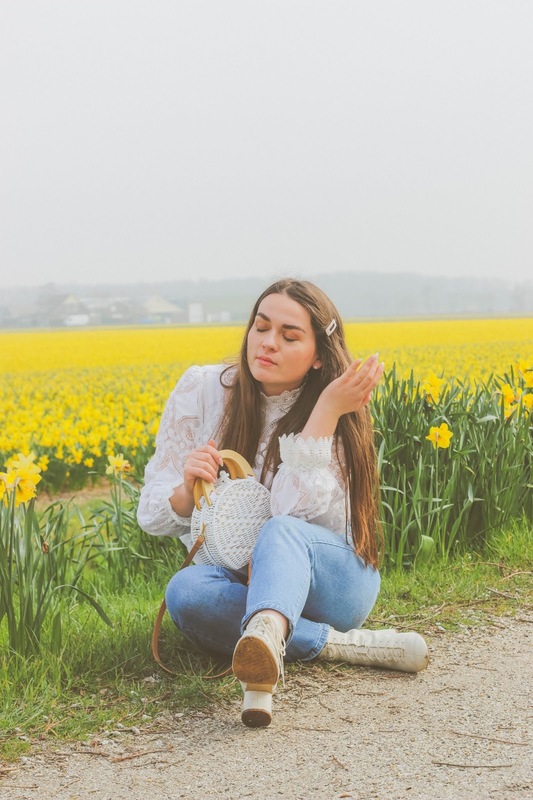 This year, we planned a little 4-day trip to actually see the fields and visit Keukenhof and I wasn” disappointed. its actually insanely beautiful and driving around and just seeing miles and miles of pink and yellow flowers is just too beautiful to be real. 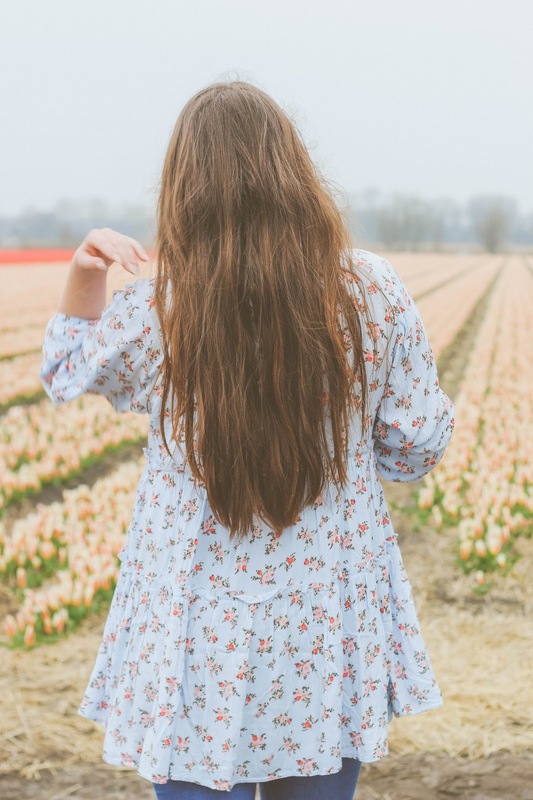 Because its not even proper tulip season and I’m guessing its a very popular tulip spot some of you want to visit I thought I would do a little guide on Lisse and the fields to make your trip a bit easier. it’s actually not just Lisse, it’s also Noordwijkerhout so don’t focus just on Lisse and branch out further. 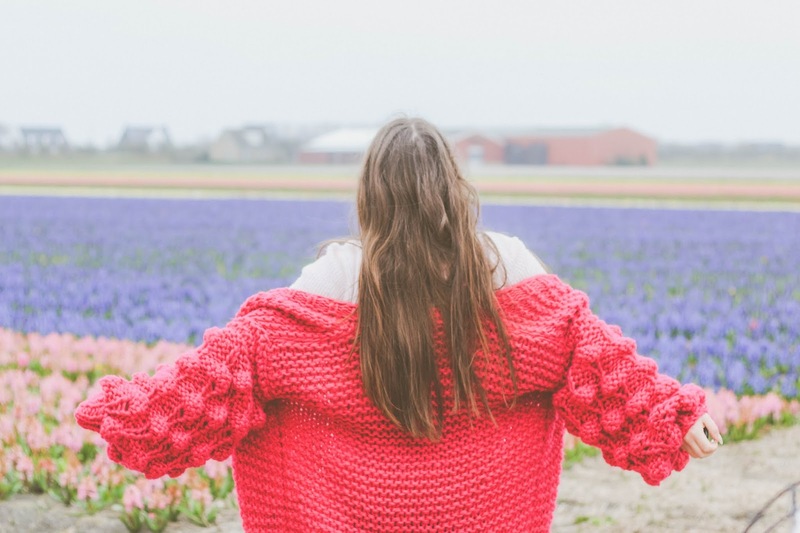 A place to start is around the infamous Keukenhof Tulip garden. You’ll find loads of fields just behind in when driving along Loosterweg Noord. 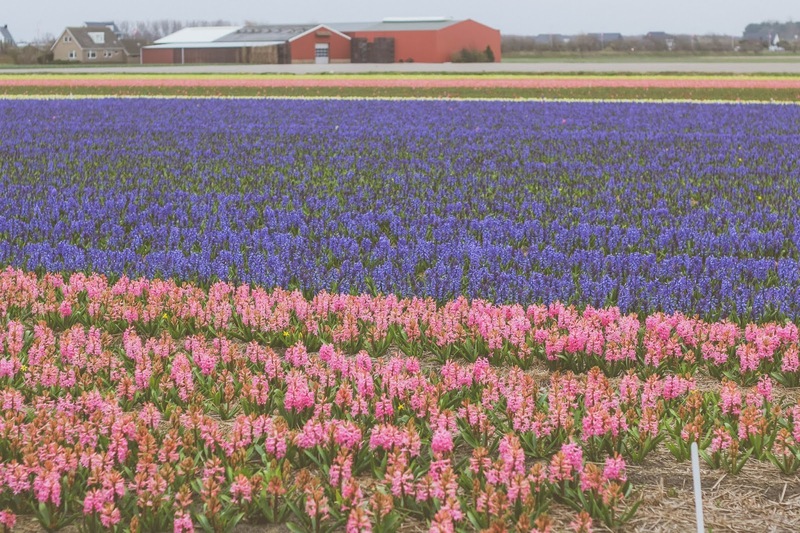 Many of the fields can be seen from Keukenhof too and add to their displays. If you want to get away from the crowds at Keukenhof I would recommend looking around Houtvesterslan right behind the Lisse Trainstation. Its a bike lane and footpath so you will have to walk to get there but we found beautiful daffodils and hyacinths. 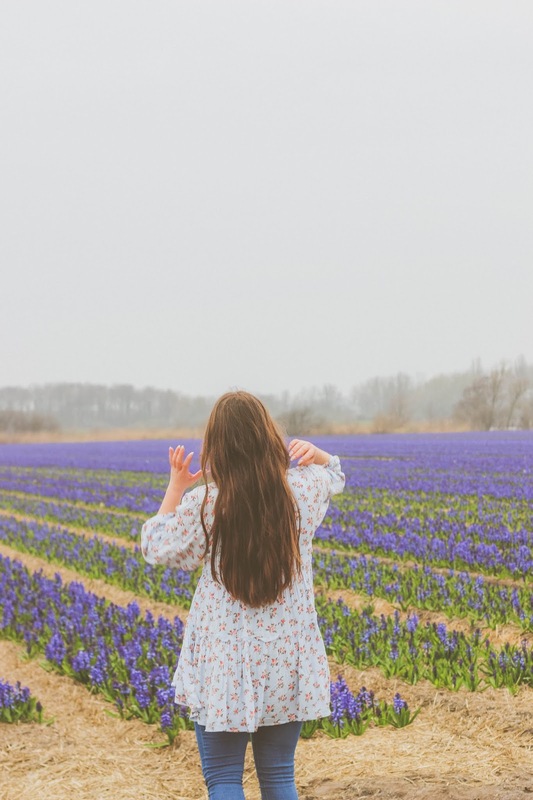 As beautiful as the fields are there are not there to just look beautiful. They are there so new breeds of Flowers can grow and the bulbs can be sold to people all around the world. its a business and peoples work so please respect that. 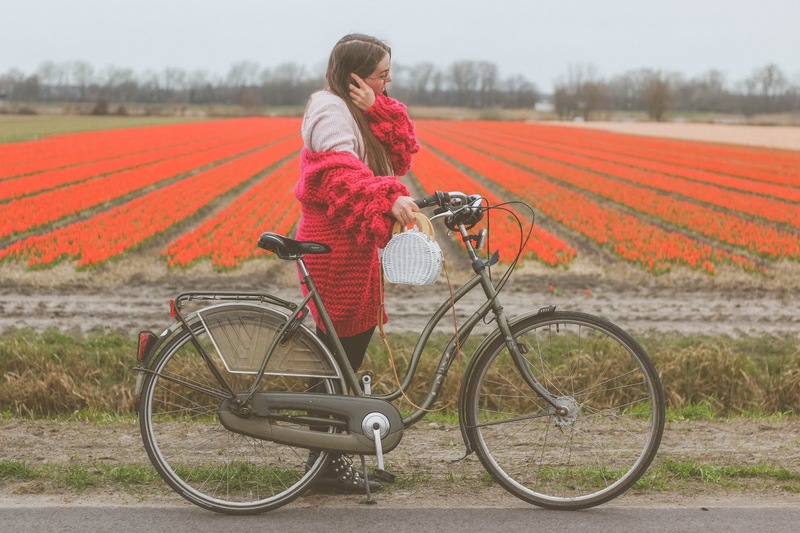 Dutch people are very friendly but don’t walk into the fields without permission by the owners. You can stand right by the fields which is what I did and get a beautiful shot but you will have germs on you that can kill the plants and therefore kill a farmers harvest and income. I learned from a very lovely couple I met at a hyacinth field that they grow them for four years before the bulbs are big enough to be sold. 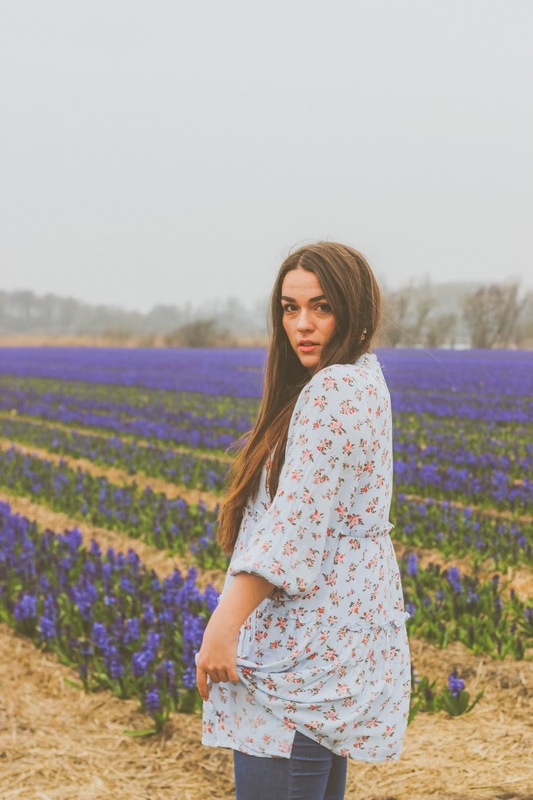 They are farms where you can book in for a shoot such as FamFlowerFarm but if you can’t get hold of the owners please just stand next to it and don’t just walk into it. If you are coming to Lisse I’m assuming you might want to pay Keukenhof a visit. It’s a huge garden with endless displays of tulips and its beautiful. it’s open every year from March to May before it closes again and gets replanned and replanted for the following year. At its busiest around 60.000 people visit it daily so if you are planning to go I would recommend booking your tickets in advance so you don’t have to wait in line to purchase them and I would come early in the morning, as soon as it opens to get the most of the huge landscape and the displays without thousands of people around. If you want to order bulbs, you can order them from different growers and they will be shipped out to you by autumn ready to plant for the upcoming year. 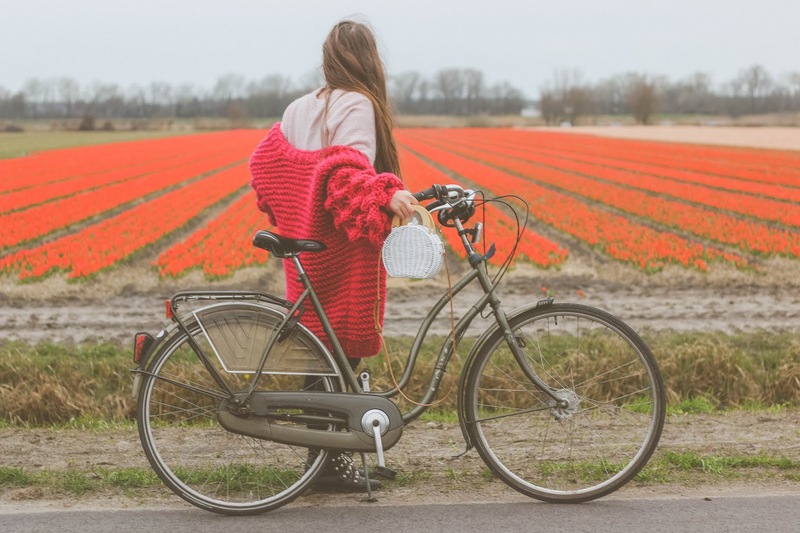 if you are planning to stay in Lisse for more than just one day they are plenty of great things to do other than endless bike rides along the flower fields. the beach is very remote and huge and if you don’t fancy and walk or bike ride through the beautiful dunes, I would highly, highly recommend coming to one of the following beach clubs for breakfast, lunch or dinner. all of them are beautifully designed, right on the beach, the food is amazing and you can get tons of snaps for the gram. it feels like being in Mexico or somewhere warm. Tulum Noordwijk, Branding Beachclub and Hippy Fish are my firm favourites. if you need a break from the beach and want to stop somewhere closer to the fields, Como & Co is amazing too. 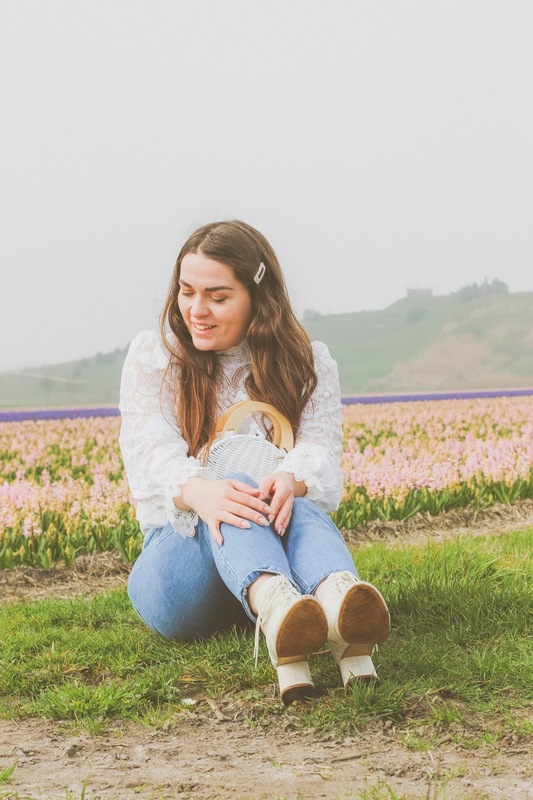 so here we are; my little guide to Lisse Flowerfields. If you are interested in seeing them you should absolutely do so. It’s beautiful and worth a visit no just for the beautiful fields. if you have anymore questions please leave them in the comments and I will get back to you.